Google enabled wireless support for Pixel and Nexus devices on Android Auto, a mobile app that mirrors features from an Android device to a car's compatible in-dash information and entertainment head unit, per a blog post. The wireless connection means that Android Auto users won’t need a USB cable to hook up their phones to their cars. Pixel, Pixel XL, Pixel 2, Pixel 2 XL, Nexus 5, and Nexus 6P devices running Android Oreo or higher are supported, Google said. Auto wireless connectivity is limited to newer, third-party JVC and Kenwood head units, per ZDNet. For non-Google devices, the company is working with phone manufacturers on adding software compatibility. Support for more car head units and displays will be available in the future, Google said. As Google and Apple battle for market share among smartphone operating systems, they also vie for dominance in their compatibility with the on-board information and entertainment systems that car manufacturers are adding to newer models. Making the service more convenient through a wireless connection could make Android Auto more appealing to owners of phones offering the upgrade. Vehicle owners who bought a car equipped with Apple CarPlay or Android Auto are satisfied with the systems and rely on them for all in-car tasks, per a report last week by researcher Strategy Analytics. At the same time, car manufacturers are beefing up their mobile offerings in an attempt to retain control over the in-car experience and not cede it to Apple and Google. The Strategy Analytics survey found that 34% of CarPlay owners rely on CarPlay for all of their audio infotainment needs, while 27% of Android Auto customers use the Android platform exclusively for audio infotainment. In addition, 32% of CarPlay users and 33% of Android Auto users depend on the systems for all of their navigation needs. CarPlay, which is available in more than 300 vehicle models, may have a slightly lower number because of customers who are unsatisfied with Apple Maps, as compared with mapping apps like Google Maps or Waze. Voice command usage is "strong" among both groups of users. More than 85% of CarPlay and Android Auto users are "somewhat or very satisfied" with their system, and more than 90% are likely to recommend those systems to others. 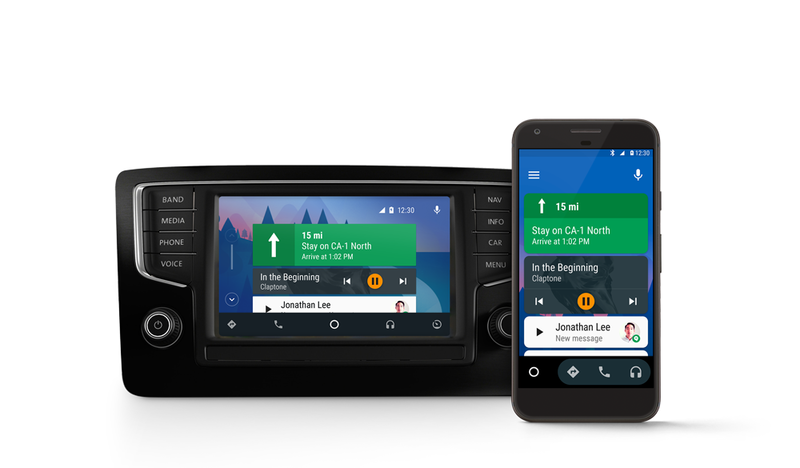 Google Product Forums Android Auto Wireless is now available!